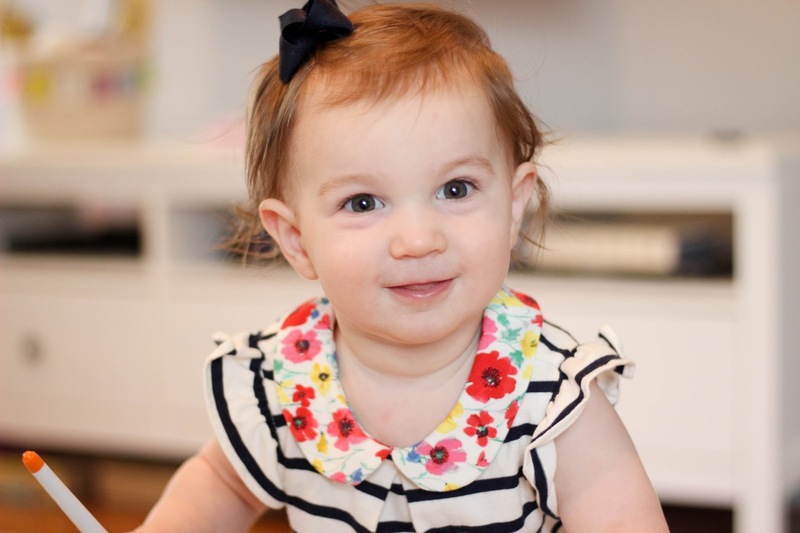 Sweet baby Emerson, how can you possibly already be 15 months old. I think the most exciting part of your development in the past few months has been watching your vocabulary grow. You are making so many new sounds and consistently making the same sounds for certain objects. A few of my favorite things you say are: Mama (of course), Dada (which you say the most often), Avery (Ahhhvvv), dog, bubble (so random), bye, more (mo) and I swear you said thank you (tank-ew) the other day. You are also constantly laughing, laughing to yourself, coming up to us and just laughing and making a silly face, you are just the happiest little love. This past week over Spring Break I did my best to slow down and really watch you- watch you play, eat, observe the world around you and just soaked in all your sweetness. 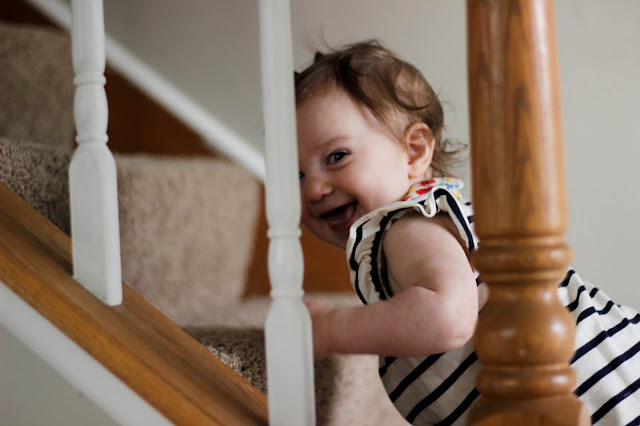 People still comment on what an easy baby you were/are- you are just always smiling! Another thing you started to do more of this month is dance. 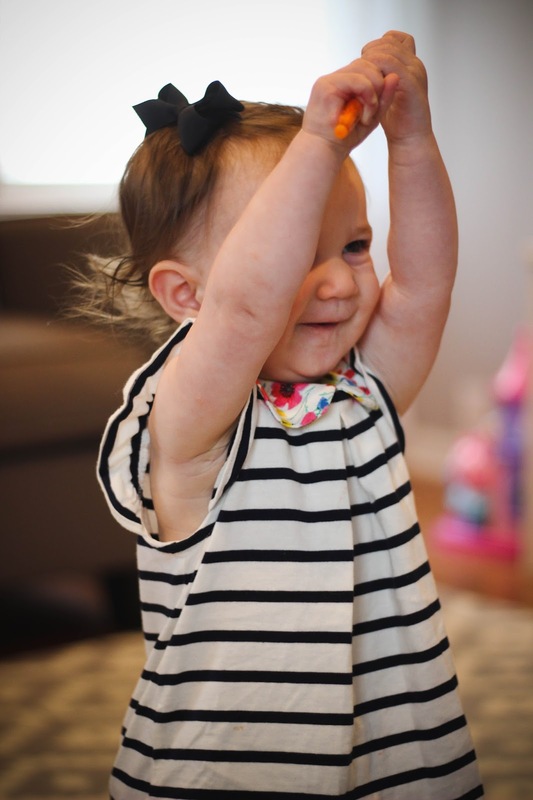 Just like your older sister, whenever you are happy or excited you do this little dance, but you added an extra arm movement and spin to Avery's signature wiggle. It is seriously the most adorable thing ever. Mama loves you so much Miss Emerson Elizabeth and am already so proud of the little lady you are becoming. These images were also my first attempt at editing using Light Room- I have NO idea what I'm doing... but I'm having fun learning.